In many rural areas of Kandahar province, farmers grow fruits and vegetables, which have to be sold in the market immediately after harvesting. An oversupply during the harvest season equals lower profits for the farmers. Drying fruit and vegetables is one common solution. 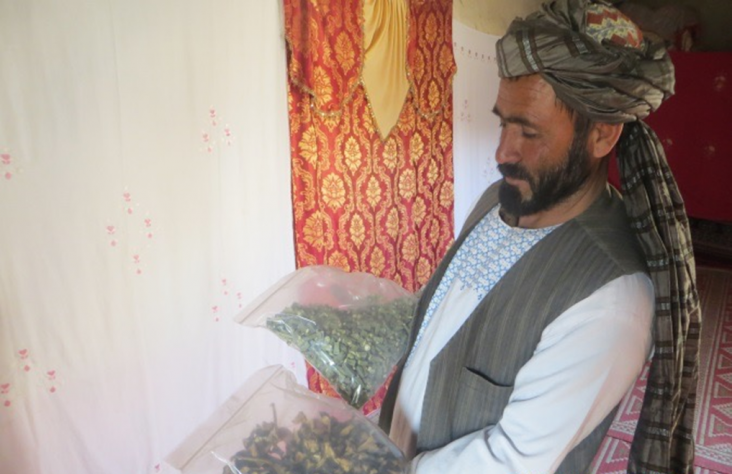 Not only does the process allow Afghan farmers to avoid selling produce at extremely low prices, they can store the fruits and vegetables for a long time with a lot less space. They can also ensure a steady stream of income during non-harvest months. Sayed Abdul Karim, a farmer from the district of Zhari, had always dried vegetables and fruits using the same techniques used by farmers for thousands of years. While well-trodden, this method took a lot of work, a lot of time, and risked contamination. That was before Karim had the tools to leverage an abundant resource in Kandahar: the sun.